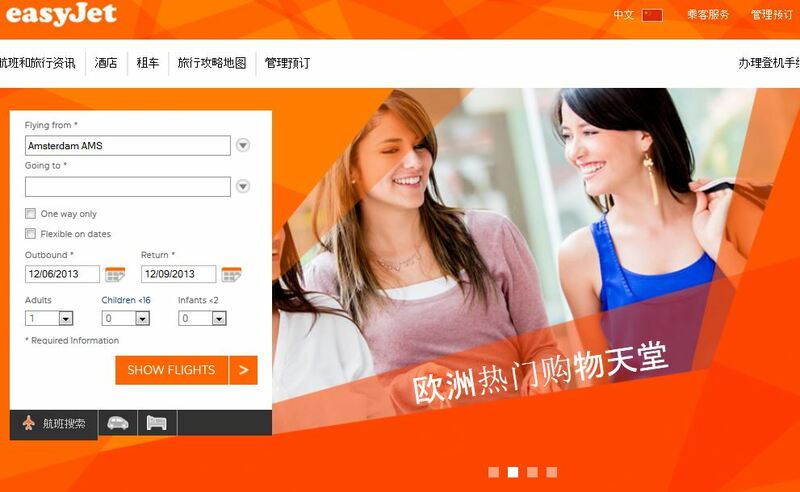 Yesterday easyJet caused quite a stir among the global travel industry by launching a dedicated homepage in Chinese. Even the Prime Minister had something to say about it during his visit to the country. easyJet already has dedicated home pages for customers booking their European travel from Brazil, Russia and the US and according to the airline the move to provide a booking engine in Chinese was prompted by a 25% rise in bookings from China during 2012. For me, this move is a smart one. Destinations and providers of tourism products and services from the tiniest mountain village to the great capital city across Europe have been scrambling to attract the fêted ‘high-spending Chinese traveller’. However there are so many basic ways in which destinations are falling short and providing signage and service in Chinese has so far been one of them. By providing a booking engine in their native language the airline is making a clear statement that it is open for business for the Chinese traveller in Europe (and now beyond). The move has also brought the company into line with VisitBritain’s China Welcome programme. The move is also symbolic. The easyJet brand has long been identified with the savvy independent traveller. While easyJet flights are also bookable by travel agents through Amadeus’s distribution system (a move made largely to capture the business market), the budget carrier has traditionally been associated with independent travellers looking to compose their holiday their way, as opposed to being subject to tour operator charter flights or the legacy carriers (those currently bringing Chinese visitors long-haul to Europe and, until now, presumably providing the bulk of European internal flights). If increasing numbers of Chinese travellers have been booking with easyJet it’s because they too are increasingly prepared to compose their trip their way, travelling independently or in small groups. 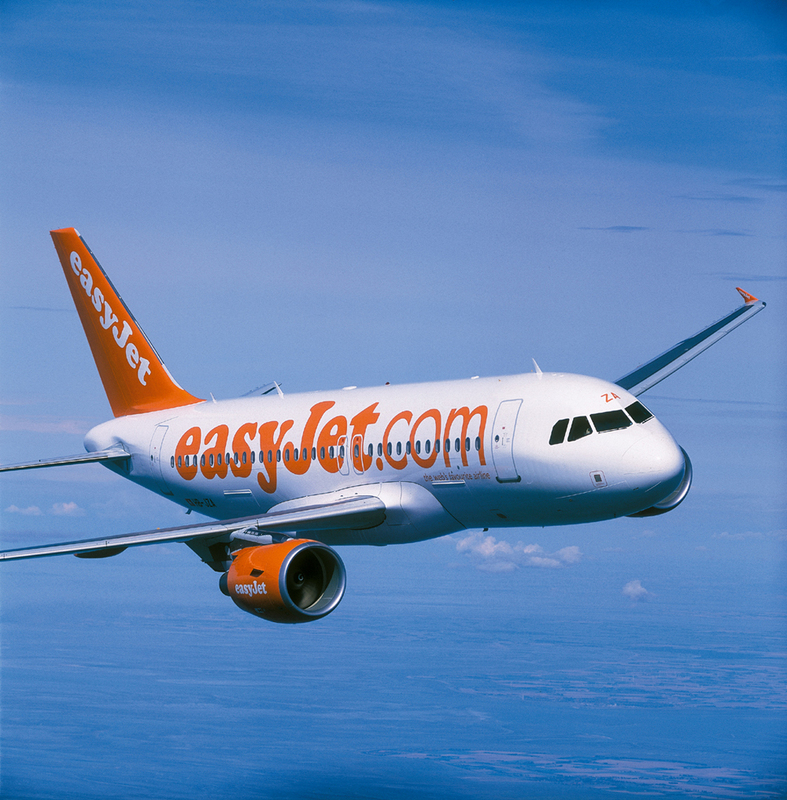 For Gen C Travellers and upscale independent travellers of all ages, easyJet is a fascinating brand to watch, given its role in stirring up the airline industry since its launch over 15 years ago and given the way it currently projects itself to the independent traveller. Just take a look at the hotels, cities, experiences and products reviewed in the company’s in-flight magazine. As Chinese visitors make repeat visits to Europe, looking to broaden their horizons from the obligatory dash around eight countries in one week, they are showing an increasing propensity to branch out and use previously unfamiliar services, brands and routes. This interesting report ‘Chinese Tourists in Europe from 2017’ by the mega travel company Tui helps to explain this concept. In future posts I’ll be discussing some of the commentary about young Chinese travellers and sorting the fluff from the substance as the travel industry races to attract the Chinese yuan!